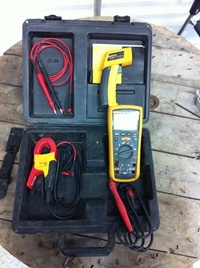 Electrical testing tools are required in an electrician’s arsenal of tools. With the ever-changing variety of tools available, it may be difficult to decide which ones you need for your specific duties. 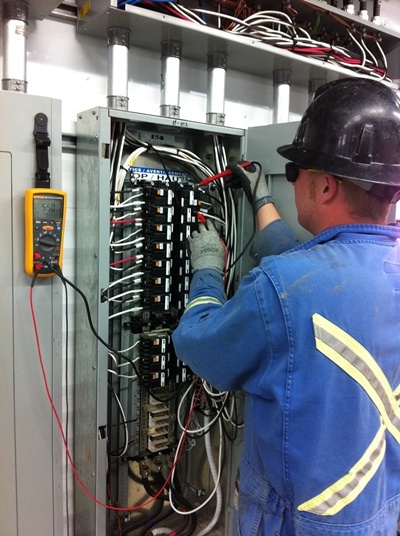 Electricians specialize in electrical wiring, either in residential, commercial or industrial buildings. No matter where you work, everything you install or repair must be tested for safety and functionality before you can give the go-ahead for use by others. 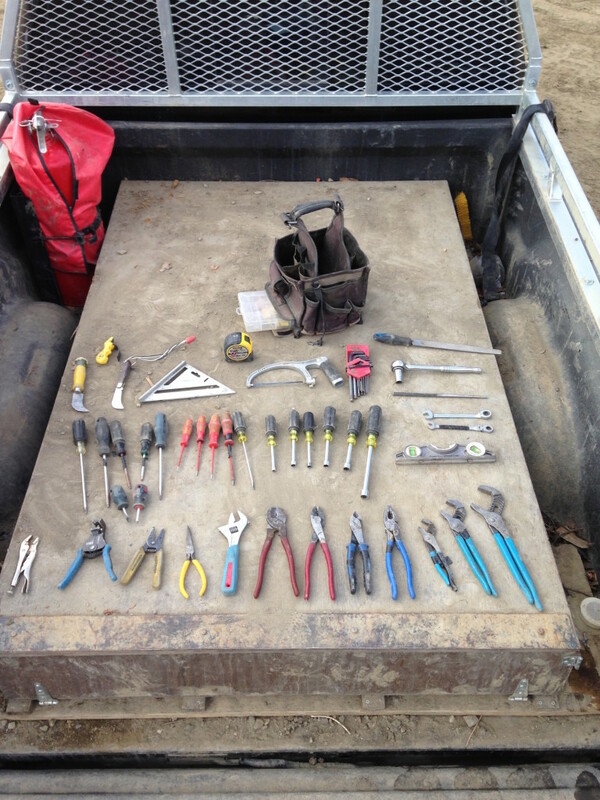 This means you have to have a full suite of electrical testing tools to complete your job successfully. Aside from just completing your job, testing circuits and wires can also save your life. If you accidentally come in contact with a hot wire you could sustain more than just a little jolt. You could very well be electrocuted. Testing wires and equipment before you touch them is just as important as testing it afterwards. 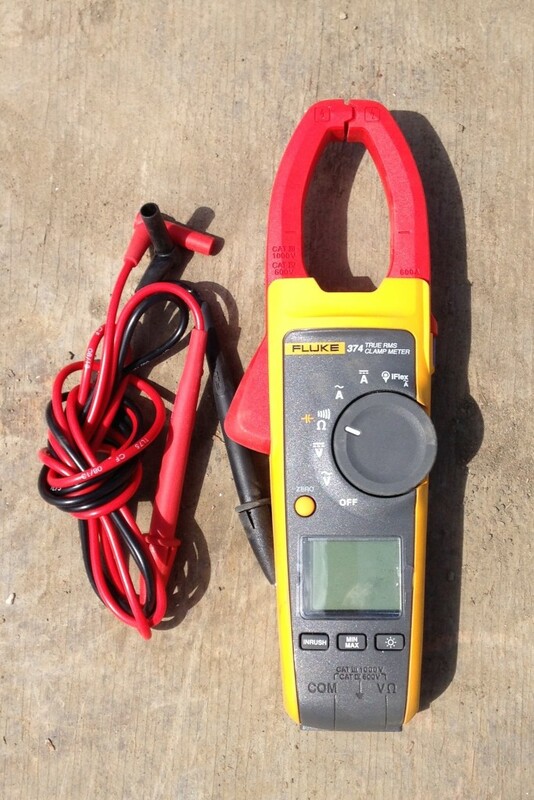 A current meter, or clamp meter allows you to measure the current without disconnecting the device or the circuit. It is designed to be attached around the conductor, enabling you to measure the current or amperage on a single conductor. Current meters are also used to measure voltage and resistance, so it is definitely a tool you need to have with you at all times. Testing everything before you touch is a big part of safety in the workplace. The non-contact voltage detector may be the simplest yet most crucial electrical testing tool to have on hand. It can save you from quite a jolt. It is designed to light up or buzz whenever a hot lead is detected. Hold it up to a power outlet and you will instantly know whether or not you tripped the right breaker to disconnect the power. When fixing or replacing a ceiling fan, the volt detector will tell you if all the power is dead or if there might be another hot lead from a different circuit. The tool is very inexpensive. Everyone should have one. Even if the closest you get to working with electricity is changing a lightbulb, you would be wise to invest in a non-contact voltage detector. Many new electrical tools, like multimeters and clamp meters now come with this feature already built in. When shopping for this tool, look for one with an alarm, rather than just a light. That way you won’t have to keep an eye out for the warning light. Plus, the light is sometimes hard to see, especially in bright sunlight. The inexpensive models are fine for most jobs. 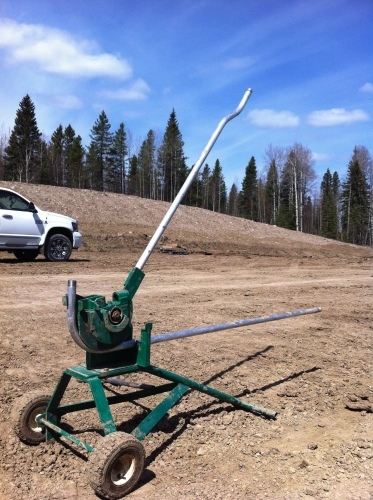 When you need a more precise reading with tight perimeters, you may need a more accurate, and expensive version. Your boss or master electrician will able to tell you which type is more suitable for your type of work. Also known as an ohmmeter, the digital multimeter is available in all sorts of styles and designs. 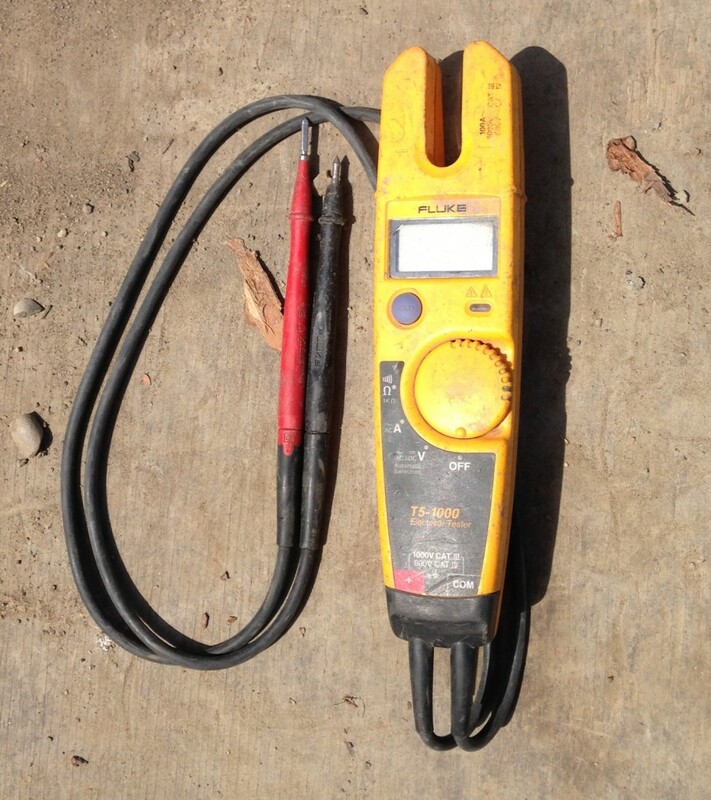 Generally, a decent digital multimeter has a 97 percent accuracy reading. For a professional electrician, the only ones really worth buying are known as “true RMS” meters. Why? Because a true RSM meter does much more than the simpler versions. It measures the current and voltage, even in less than perfect conditions. This comes in quite handy, especially when dealing with electrical motors. Other variations include the sample and hold type, the auto polarity, and the low bandwidth oscilloscope. This handy little tool will tell you instantly if there is an open ground, open hot line or open neutral anywhere within the circuit being tested. Most circuit and receptacle testers will tell you if the hot and ground or neutral and hot have been reversed. Inserting any type of electrical device before fixing this problem will have devastating results. The more advanced the circuit tester, the more functions are included. You may or may not need these additional functions, depending on the type of projects you work with. To put it simply, a circuit analyzer is a basic circuit tester on steroids. 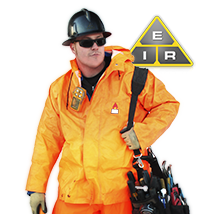 A circuit analyzer has additional features that you may require in certain situations. These devices generally cost more, but the added benefits are well worth the money. They are extremely useful electrical testing tools for electricians working in new buildings, as well as home renovators who must deal with a lot of rewiring. A watt meter is not technically a professional tool unless you are in the business of measuring the efficiency of appliances. However, it is an electrical testing tool. For example, you can measure how much a computer system or refrigerator uses over a particular period. Watt meters measure what is known as watt hours. This tool can be fun and quite useful for homeowners. Just input your electricity rates and you can get an actual cost of consumed electricity. Also, if you suspect an appliance is using more power than you feel you should, just test its usage and see if maybe that old power hog should be replaced with a more efficient model. These are just a few of the electrical testing tools you may need for your personal arsenal, and you will be surprised how affordable most of these tools are. 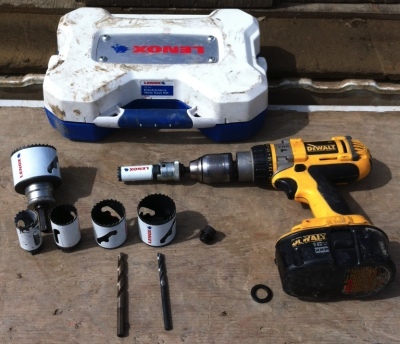 A list of hand tools electricians use on a day to day basis.